A vibrant night of film was celebrated last night at the Century club. Alice Trueman was awarded as the winner of Red Rock Entertainment film competition with her short film Jas and awarded with the prize of £5,000. Alice a Filmmaker, Playwright, Script & Film Editor entered Red Rock Entertainment’s short film writing competition back in December and has been through various stages to finally be crowned as the winner. A considerable list of contestants had already been whittled down to just five finalists. Each of the finalists was all very deserving of their spot in front of an illustrious judging panel. The panel consisted of Phillip Ilson, Director of the London Short Film Festival and The BFI London Film Festival. Roger Morris, Managing Director of Elstree Studios. Stephen Cookson, Award-winning writer and director, Linda Robson, Actress is best known for ‘Birds of a Feather’ and ‘Loose Women´ and Gary Collins, Managing Director of Red Rock Entertainment. 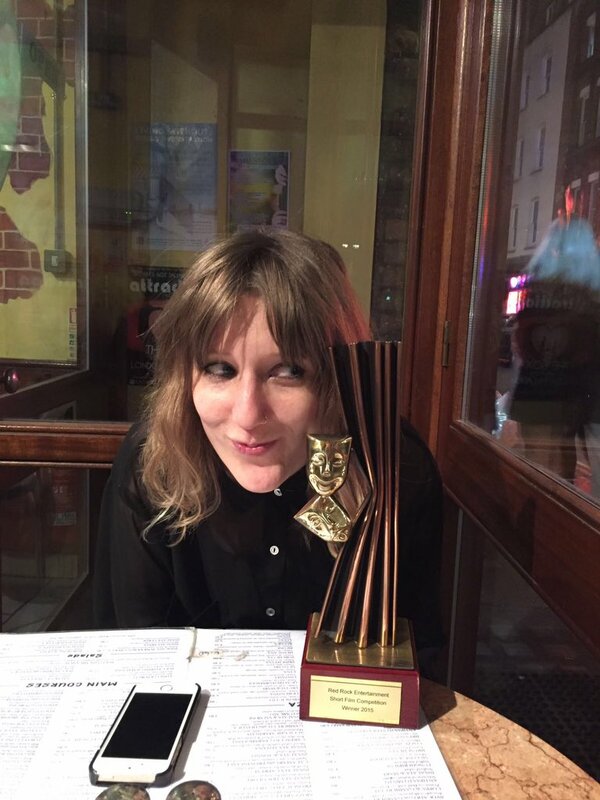 Alice was overwhelmed with winning and so was so grateful for her £5.000 prizes to help produce her short film. After winning the competition, she told us that she is very much looking forward to getting going on the production of her short film ‘Jas’ and thrilled to be doing it with the support of Red Rock Entertainment and this brilliant initiative. In Conjunction with the competition young aspiring film maker Chelsea Grant was invited to screen and talk about her Film Titiro which she wrote and directed in New Zealand. Another winner on the night came in the form of Jason Stewart, an 18-year-old, from Aberdeenshire. Jason, who has a liver condition, was asked to help with the judging of the short story pitches alongside the judges. Jason was brought on board through the Rays of Sunshine Children’s Charity, a charity for which Red Rock Entertainment are an ambassador, giving people the chance to meet their idols, visit movie sets, and be able to have input in what is a passion for them. Jason was a valued member of the judging panel, giving some great insights onto what his thoughts were on each of the entries. Jason’s mum Gillian was so pleased about the opportunity that Red Rock had given to her son. “It was real money can’t buy experience” she claimed. Red Rock Entertainment will be holding more events at the Century in 2017, keep connected with us here.